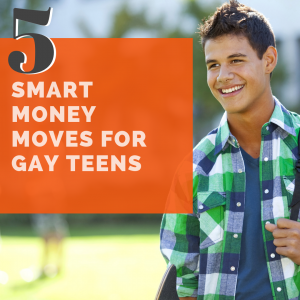 We think it’s important to build a financially strong LGBTQ community. That’s because the stronger we are financially, the more capable we are of funding the causes and initiatives most important to us. Yes, we’ve made lots of progress over the years, but we’ve been reminded recently that the fight isn’t over. Plus, with 28 states still lacking protections in the workplace, it is important as LGBT job seekers we do our own due diligence on our prospective employers. It’s important for the queer community to be proud of our financial situation as we are about our individuality and sexual orientation. Your money is an important tool for your success, especially when you take control of your debt, but it also helps ensure the success of our collective community. And how you make that money is just as important as what you do with your paycheck after it hits your account. As a prospective LGBT job seeker, how can you find an employer that’s in line with your values? Here are three ways. 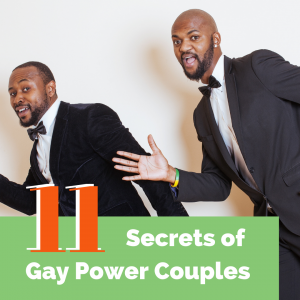 There are some organizations that offer lists of LGBTQ-friendly companies, but your best bet is to do your own research. Contact local advocacy groups to find out the local and national companies that support your causes, both financially and with boots on the ground, at the state and federal levels. The companies that put their money and people behind the causes you support (especially when it doesn’t mean the cover of a magazine) are likely in line with your values. Another way to determine the right employer is to see who’s proud of you. Pride offers companies a great chance to connect with our community. While Pride usually consists of parades and parties, companies can also market to our lucrative community. Some companies prefer to avoid parades and parties, so Pride attendance shouldn’t be a litmus test for choosing an employer. It’s just another means to notice our allies. When interviewing for a job, play the role of both interviewee and interviewer. You want to know that the company fits with your culture just as much as they want to know if you fit with theirs. Consider asking about their stance on LGBTQ employees and if they have protections in their policies. You may also want to ask to see their policies. If possible, look around to see if they are a truly diverse company. It’s all well and good to support LGBTQ causes and have protections in place, but if there’s a rainbow ceiling you may not be given the opportunities you want. You can also ask about the causes the company supports or how they give back to the local community in general. Smaller companies may only be able to support one or two causes and an LGBTQ cause may not be one of them. This, too, should also not be a litmus test for choosing an employer, but it’s good to know what causes the company does support. You can research what if any, legislation the company has supported. When local, state and federal government are debating new regulations and laws, companies often voice their opinions publicly. This is a great way to get an official record of a company’s opinion. Contributions to political campaigns that are large enough and made by the company or leaders within the company must be publicly disclosed. 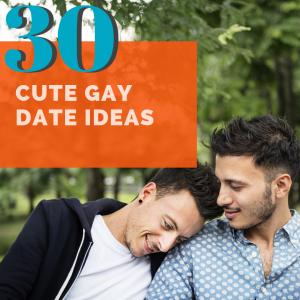 You may want to start by asking representatives at your local LGBTQ advocacy organization if they’ve received support, both financially and through actions on issues that are important to you, such as marriage or birth certificate modernization for transgendered individuals, from a company you’re considering. Even if a prospective employer hasn’t donated time or money, it’s not a bad sign. What you may want to do is look for any donations to groups that oppose your causes or beliefs. These are just some ways to determine, beyond a national index, how supportive prospective employers are to queer LGBTQ causes. It’s in both yours and your community’s best interest to do as well financially as possible. For most of us, that starts with decent earned income and eliminating our debt.